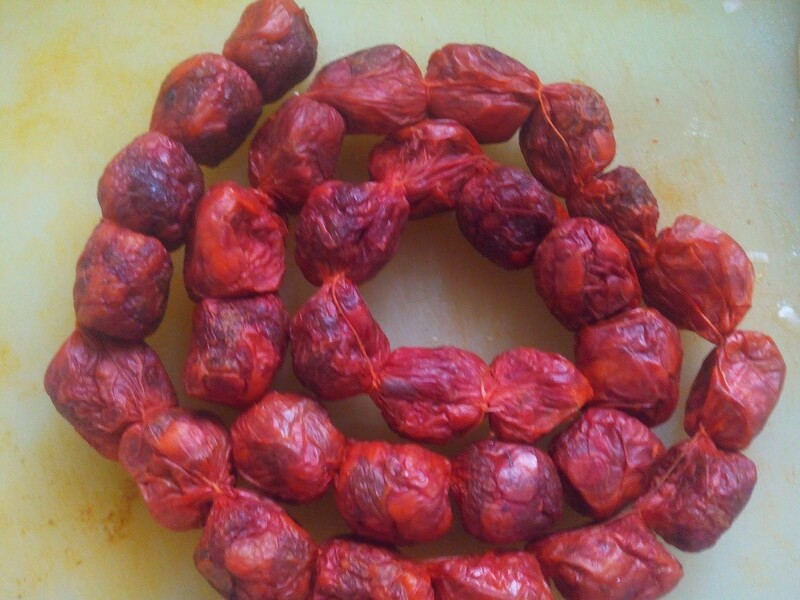 Goan sausages Mumbai Chaoris – Offering a variety of goan sausages mumbai, Gables prides itself on. These include Goa Sausage Chilly Fry, Goa Sausage Pulao and Chauris Pao. Goa Sausage chilly Fry- Sundried , coconut vinegar cured Pork that is aged in sheep casing and then smoked to perfection. This comes from the markets at Mapusa to our doorstep. 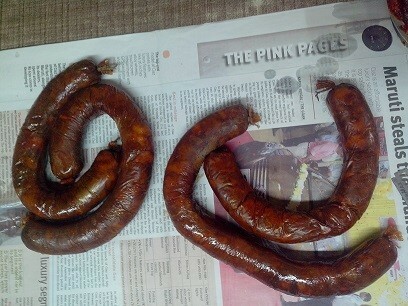 It is home made and different from the commercial packaged sausages. Best had with warm bread or kolam rice(which is not too thin like basmati or not too thick like ukda). For first time consumers of this delectable delicacy. The pao dipped in the sausage jus maybe a little too sour, because of the coconut vinegar. 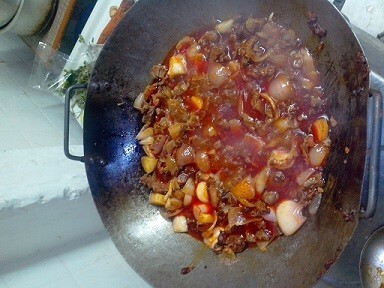 The addition of the fried onions and potatoes does a good job in balancing the flavor.